The PSI training course examines the prevalence and consequences of falls and fractures, costs, demographic trends and the implications for independence and quality of life. The theoretical work covers the physiological and psychological systems involved in postural stability and bone health and the impact of disease processes on falls and fractures. Risk assessment and health and safety related to accident prevention are key areas, together with the practicalities of establishing a programme. Practical work examines the structure of a falls prevention programme (FaME) with considerable emphasis being placed on the group management teaching skills; how to demonstrate and teach effectively, adapt and progress exercises and provide alternatives for individuals with functional impairments and considering age related changes. Candidates are required to complete a Case Study as part of the assessment. To view some photos from past PSI courses, click here. be able to plan and deliver an exercise programme for frailer older people, which will safely and effectively improve their physical function, and in particular their postural stability, in order to reduce their risk of falls. Courses are run with a blended learning approach using an online portal (with approximately 12-14 hours pre-course work) and 4 days of face to face learning, including assessment days. The face to face days are spread over a period of 4 to 6 weeks to allow sufficient time between course days, for ‘home’ revision and set course work. The courses can be run on both weekdays and weekends depending on demand. Each face to face learning day runs from 9am to 5.30pm and approximately a further 100 hours of non-contact revision and learning time will be required, giving a total of approximately 150 hours for the course. All online tasks must be completed within the time frames specified. Online elements are mandatory and a requirement. Candidates not completing them will be putting themselves at a disadvantage and may find the face to face days challenging if they are not prepared for practical workshops and tasks. Following the online pre-course learning, the face to face training will focus on the group teaching skills of the PSI to prepare you for your practical assessment. There are 4 face to face training days with the LLT tutor team. These run over a period of 4 to 6 weeks to allow sufficient time between course days for ‘home’ revision, and set online portal mid-course work (approximately 12-14 hours). The courses can be run on both weekdays and weekends depending on demand. Each day runs from 9am to 5:30pm. The training and assessment are aligned with professional standards and in line with PD Approval endorsement requirements.. Candidates will receive course resources 4 weeks prior to the first face to face learning days, to allow the pre-course portal work to be completed. Click here to see the list of publications related to the Postural Stability Instructor course. The Later Life Training tutor team is made up of physiotherapists and specialised exercise educators, with specific expertise and experience working in falls prevention and adult education. In addition to the Later Life Training tutor team, there are online lectures delivered Dr Rob Morris, a Consultant Geriatrician in Nottingham. There is good evidence that tailored, specific exercise can improve postural stability and reduce other risk factors for falls and injurious injuries including osteoporotic fracture. It is essential, therefore, that Primary Health Care Teams and Social Services, ideally placed to detect individuals with a risk or history of falling, recognise the benefits of, and promote, referral into an appropriate exercise programme. The course has been specifically designed to improve postural stability and reduce the risk of falls. It has been developed by a team with extensive expertise in the fields of research, exercise, medicine and general practice, falls and injury prevention, rehabilitation, education, social services and public health. It is based on published research showing a reduction in falls and falls injuries in people who have a high risk of falls. It is a recognised, validated course; the first of its kind worldwide to lead to a specialist qualification in the provision of therapeutic exercise for reducing the risk of falls and fractures. Above all, this module is practical, evidence-based and inter-disciplinary in nature, and aims to prepare candidates to promote independence and reduce falls among older people through the delivery of safe, effective, specialised exercise programmes. Recently, the PSI (FaME) intervention has also been shown to work in a primary prevention trial. After a 6 month intervention, those in the FaME group significantly increased their moderate physical activity by 15 minutes a day and reduced their chances of falling by 26% compared to Otago and Usual Care Groups, even a year after the intervention finished. Click here to read more. The Training Curriculum, first developed in 1999, is supported by a National Advisory Group consisting of key personnel from Age Concern England, Ageing Well Active Age Unit; BHF National Centre For Physical Activity and Health, Loughborough University; Extend; Health Development Agency; Help The Aged; National Association for Providers of Activities for Older People; Research Into Ageing; Department of Primary Care & Population Science, Old Age Psychiatry & Health Services for Elderly People, University College School of Medicine & Royal Free Hospital NHS Trust, London; Department of Geriatric Medicine, King’s College London: Department of Geriatric Medicine, Edinburgh University; Department of Geriatric Medicine, Nottingham City Hospital; Departments of Physiotherapy and Occupational Therapy, St. George’s Hospital NHS Trust and Medical School. For more information on the development of the PSI training, see our history. 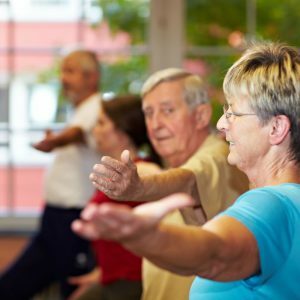 New Guidelines for Exercise Programming for the Frail Elderly have been published by the Better Ageing Collaborative based on the results of the European Commission Framework V Better Ageing Project. The project used the FaME programme as the basis of the exercise intervention and the original protocol for the FaME exercise intervention is cited. Click here to view. The Wiltshire Health promotion services works with PSIs to ensure good practice in evidence based exercise provision in their falls service, Click here. In 2012, Aberystwyth University and Betsi Cadwaladr University Health Board performed a favourable evaluation on the “Functional and Psychological Changes During a Community Based 32 Week Postural Stability Training Programme: Recommendations for Future Practice“. A lovely brief video about the benefits that older people have felt from the classes is available to view here. Evaluations from students on the course can be seen on the right in the testimonials section of the page. Finally, some published research papers (with PSIs as instructors) can be viewed in the Resources section and some new research (with PSI instructors) can be viewed in the News section. The PSI Course is endorsed by PD:Approval (now managing all endorsements previously of Skills Active) and REPs at Level 4. Associated REPs points are ONLY valid for professionals who are REPs members and who hold PD:Approval required pre-requisites for entry to this L4 course. We are also proud to receive endorsement from AGILE, the Specialist Section for Older People within the Chartered Society of Physiotherapy. In the UK, independent living frequent fallers halved their risk of falls (IRR 0.46, 95% CI 0.34 to 0.63) with 9 months of weekly group balance and strength exercises, led by a postural stability exercise instructor, combined with twice weekly home exercises (Skelton et al. 2005). The women undertaking this falls management exercise (FaME) had significantly lower mortality and morbidity at 3 year follow up than the randomised control group. The exercise intervention consisted of progressive resistance, gait, balance, functional activity, floor work, endurance and flexibility training. The exercise was individually tailored in both type and intensity, with most exercises in weight-bearing positions, reducing upper limb support. A Falls Exercise Management Programme should retrain or maintain the ability to get up from the floor and to avoid a ‘long lie’ after a non-injurious fall. It should also practice other coping skills such as crawling and rolling, summoning help and keeping warm while on the floor (Skelton & Dinan 1999). More recent research by Professor Steve Iliffe and his team (ProAct65+) has shown that FaME over a 6 month duration both increases habitual moderate physical activity by more than 15 minutes a day and reduces falls even a year after the intervention ceased (Iliffe et al. 2015). Dr Sheena Gawler has published a more in-depth analysis of the falls reduction and has shown FaME, delivered by PSIs is highly effective (Gawler et al_ProAct65 Falls_AGG_2016). View the Research Participants Exercising. Further details available through the Department of Health Prevention Package Website and download the DoH document, Falls and fractures exercise training to prevent falls. The 2012 RCP Audit of Falls Exercise Services showed that 51% of services employ a PSI Instructor. Finally, visit the Resources section where the papers and information forming the evidence base behind the PSI course can be viewed. On Day 4 they will produce a full one hour FaME session plan, then teach and self-evaluate their teaching skills of selected exercises across all FaME elements. This will include a warm up followed by dynamic endurance and balance exercises, strengthening and flexibility exercises – floor, chair and standing alternatives and adapted Tai Chi movements. Particular emphasis will be placed on specific teaching points for consideration for older people at risk of falls and advanced teaching skills to increase effectiveness. Approximately 30 minutes of teaching will be observed. They will also have to complete a written Case Study on a “faller” and submit the written case study relating to this individual for assessment. The Case Study is provided to the students via a set of videos and a written précis of functional assessments, health and other questionnaires completed and full written instructions on the presentation of the case study for marking are given on the course. The full course cost is £670 + VAT per applicant and includes the Course Manuals, Assessments and Certification. You may be eligible for a discount, see if you qualify. Sign up for the practical assessments occurs on Day 2 and charges will occur if you do not attend on your signed up assessment day. 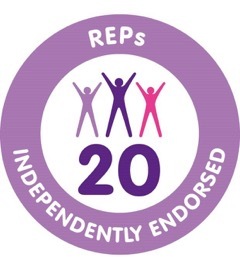 If you are a REPs registered instructor or hold insurance with another broker, before applying for a course with us you are advised to read the information regarding pre-requisite requirements, or contact REPS to be sure as this may impact on the validation of the insurance you hold. You can apply online here, but first we ask that you ensure you have read the Eligibility Guidelines and the statement about Medical Conditions and Learning Support Requirements below. You should also have read the PSI Terms and Conditions. Course dates can be found here. If there are no courses currently in your area we will initiate a course as soon as there is enough interest but we cannot guarantee a timeframe for this. If you are interested in hosting a PSI course in your area, we do offer discounts to hosts depending on the number of applicants enrolled, just contact the LLT Office. View the PSI Host Terms and Conditions here. Continuing Professional Development is available for PSIs, please see the PSI CPD page for more information and costs. Want to refresh your teaching skills? Find out more about our 2 day refresher sessions. An article on career progression from PSI to Physical Activity co-ordinator can be viewed here.